Found one really nice piece of blue. Otherwise mainly green with some brown and clear. Most needed more tumbling but attached is a pic of the pieces we kept. We were searching casually on the beach for about 6 hours (mixed with snorkeling - saw tons of fish and a stingray!, lunch, etc.) 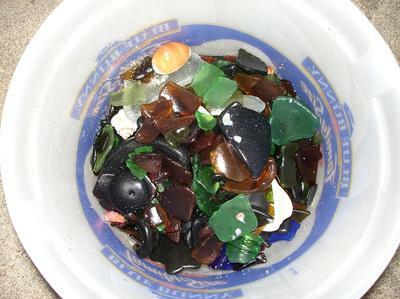 Most of the sea glass was found in the water near the shoreline. There's a Brewer's Bay here on Tortola in the British Virgin Islands. Maybe that's where the confusion has stemmed from! You're absolutely right; two islands with bays of the same name. Confusing. 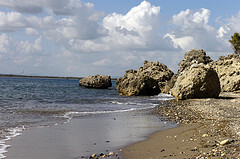 "Brewers Bay is a beautiful beach. The waters there are almost always calm and crystal clear. Brewers Bay is a beautiful beach. The waters there are almost always calm and crystal clear. Palm trees and sea grape trees are scattered along the shore. 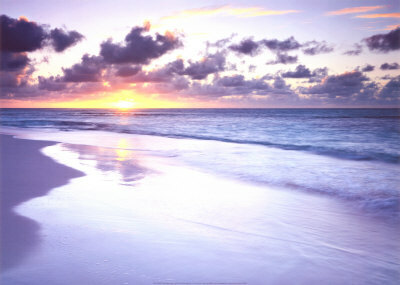 The beach is not developed, but it is located in walking distance from the University of the Virgin Islands campus. Roadside food vans sell local foods like meat and saltfish pates, johnny cake, fried chicken, rice and beans and various drinks & snacks. 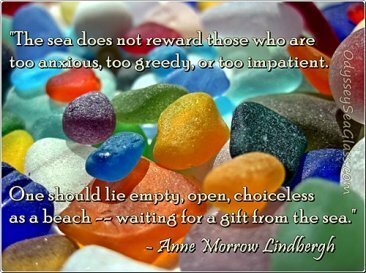 While on weekdays the bay is sparsely populated, on weekends it is a favorite with residents for family picnics and gatherings." 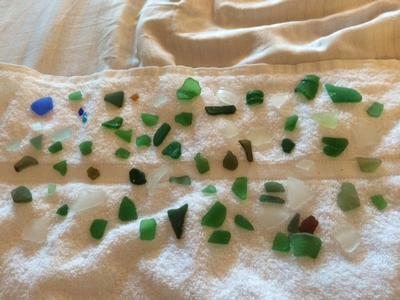 It does have many small pieces of beach glass. We spent several hours there. We enjoyed it very much. The food trucks also have good food after a long day of searching! Brewer's is located on the island of St. Thomas in the USVI. Wonderful beach located just down the hill from the university. Also good for some shelling and a good local lunch from a food truck!